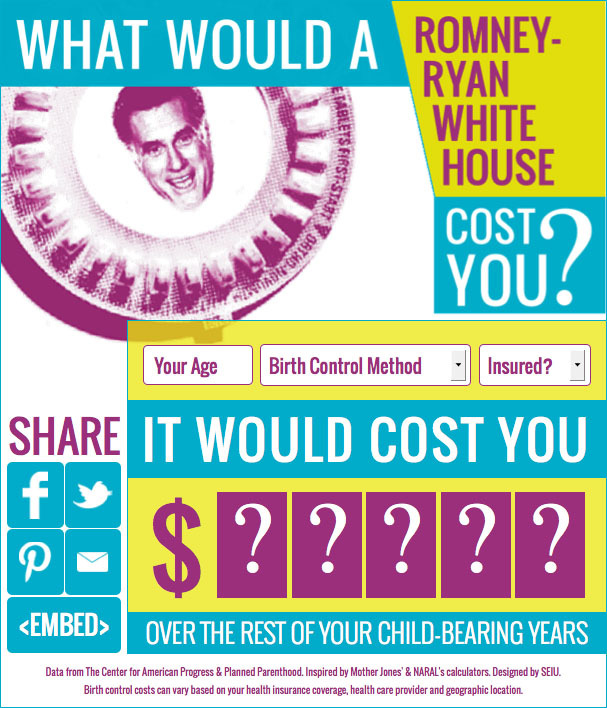 The birth control calculator was featured on MSNBC’s Ed Show! In the weeks leading up to the 2012 election, attacks on birth control were increasing. This calculator was created using public data as a way to help the women find a personal connection with the Affordable Care Act as an integral element in the fight for women. This looks best in Firefox.